There are different types of Printers available in the market and with new models being launched every couple of months, choosing the one that suits your needs becomes fairly difficult. 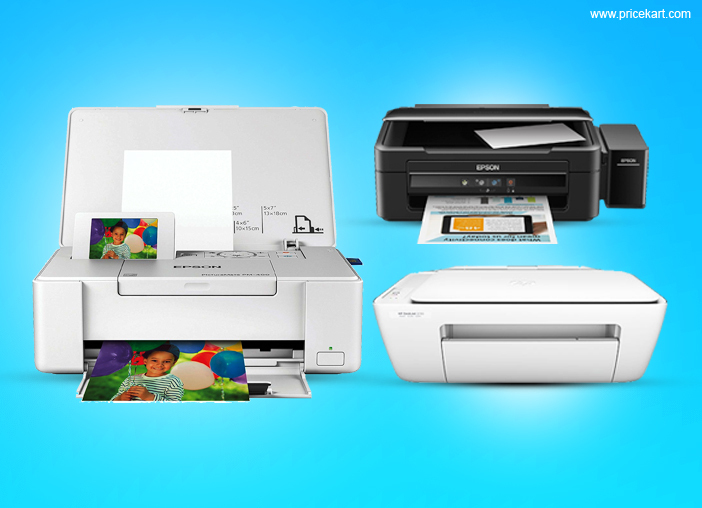 A printer is a useful device at home and office. It is an essential tool for all kinds of workspaces and is even important for students of all ages. Apart from printing, printers are also used for scanning and copying. But with the different types of printers to choose from which one suits our needs the best? Keep reading to find out more. Single-function printers are designed only for one thing and this is printing. Single-function printers don’t allow functions like scanning, copying and faxing. They are solely used only for printing. These printers are cost-effective and are ideal for an everyday use. They are perfect for casual home users who don’t need the added features and only require black and white or colour prints. Multi-function printers are all in one printer that has features like printing, scanning, copying and even faxing a document. A multi-function printer is slightly bigger than a regular printer but is convenient for people who require more than one function. They are ideal printers for an office because of the features that add an extra convenience to the workspace making work easier. An Inkjet Printer sprays ink onto the paper through tiny nozzles that are also called jets to produce hard copies. The resolution of an inkjet printer is between 300 – 600 dpi (dots per resolution). Inkjet printers are either single-function or multi-function. Inkjet printers can print up to 100 pages with a single cartridge. They create high-quality prints are ideal for design offices and people who require perfectly rendered prints. As compared to an inkjet printer, photocopier technology is used in printing with laser printers. Toner (coloured or black) which is a dry powder ink is used in laser printing. Laser printers are either single-function or multi-functional. These printers can print large volumes of high-quality print at a time. They are suitable for spaces that require a lot of prints taken in a single colour. The other types of printers available in the market are the photo printers and 3D printers. Photo printers are useful for every design and marketing offices that might require printing multiple photos during the day. 3D printers are the last advancement in printers as they print in three dimensions with the help of a few materials like plastic, resin or powder. It’s always better to know what’s available in the market and what suits your needs instead of going in blind. With the different types of printers mentioned above making a choice becomes easy. Click here to read about the top 10 multi-function printers to buy in India 2017. The post Different Types of Printers and Their Uses appeared first on Pricekart.com.